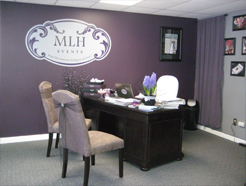 Welcome to the website of MLH Events, a Syracuse-based wedding and event planning company offering professional event design, planning and coordination services for clients throughout Upstate New York and the Northeast. We specialize in helping couples plan a day that is personal, creative and completely unique. Our organized approach and out of the box perspective will help ensure that our couples have the day of their dreams.